Thank You for your Phenomenal Support! We have come to the end of our year of celebrating the 10th Anniversary of the release of “Witness to the Truth”. The celebration took us from Howard University in Washington, DC to Tallulah, LA where we celebrated with the families of the first 26 African Americans given their right to vote after blacks were kept from the polls for almost eighty years,. From there we started our “Witness to the Truth” Big Read when people across the country were invited to read or reread “Witness to the Truth” during January and February. 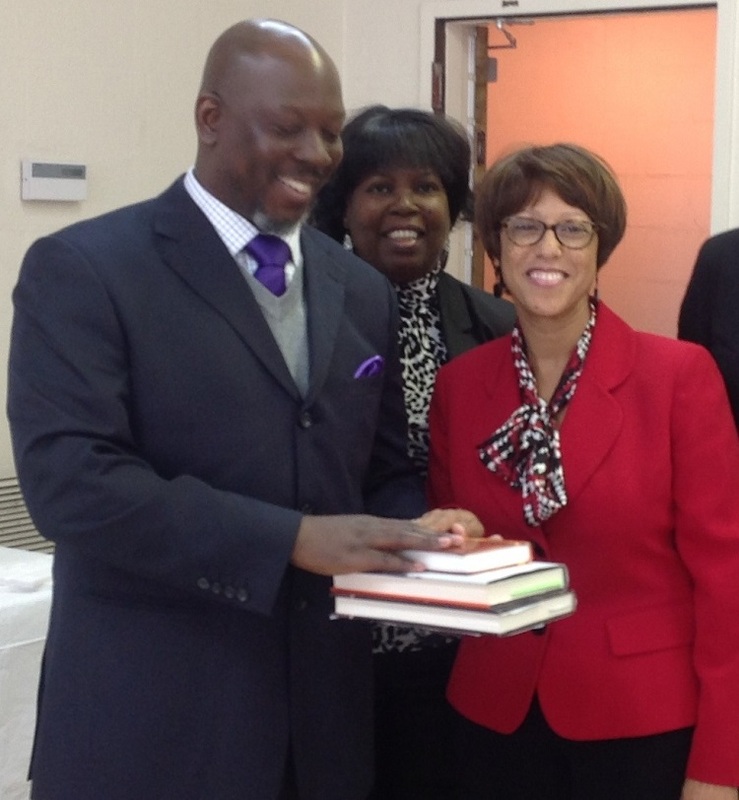 The Big Read culminated with a celebration hosted by the Royal Baptist Book Club in Charleston, SC on February 22nd. 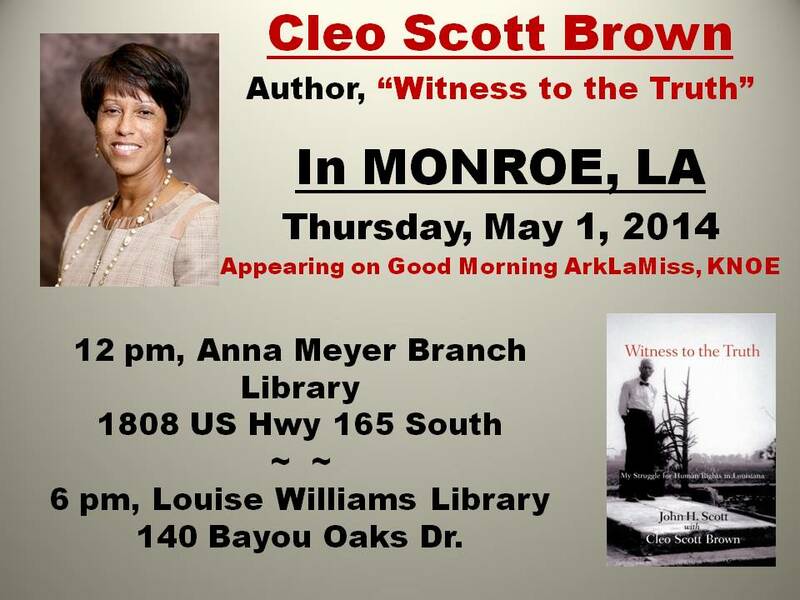 Our final event has held in Monroe, LA at the Ouachita Public Library. Check out our pictures from the various events. Attorney Dunbaugh augued my father's case & oversaw voting rights cases for the Justice Department. Hope they are having fun too! Next we took the celebration to northeast Louisiana where most of the story in “Witness to the Truth” took place. 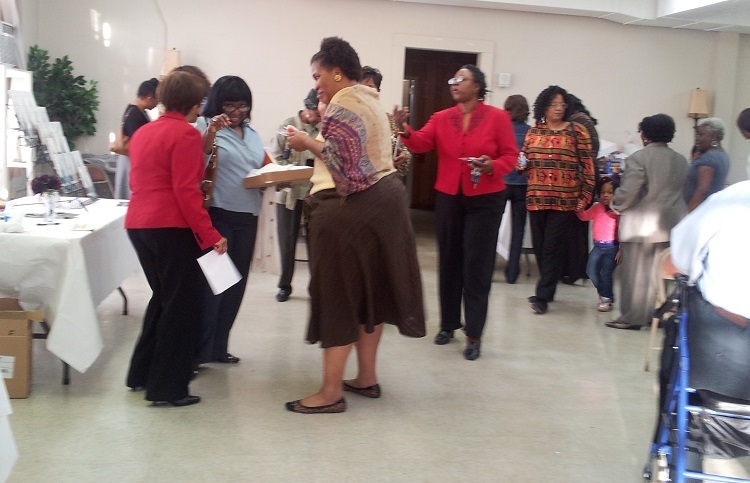 In Louisiana, we honored the lives of the first 26 African Americans allowed to register to vote in East Carroll after 80 years of disenfranchisement (see page 199 of Witness to the Truth) by bringing together their families for the celebration. Each family present gave expressions of gratitude and reflections of their family member’s contribution. They received a gift bag with copies of historical items related to their relative's role in the voting case, a certificate of recognition, and a mug on which the names of the 26 were printed. At the time of the event only three of the 26 were still living, Mr. Adam Millikin, Mr. Fred Threats, and Mr. Alfred Shoemaker. Mr. 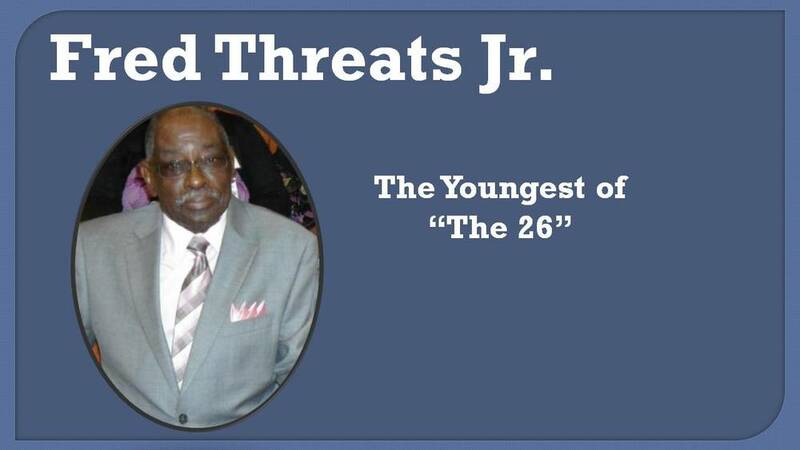 Threats passed away in June 2013 shortly after this event. Most of the 26 were represented by family members, including those who connected by phone. 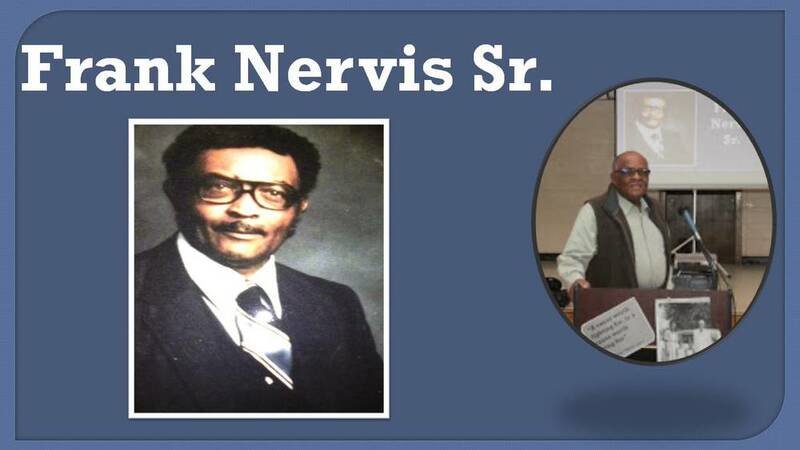 Eric Armstrong, Francis Joseph Atlas, C. W. Baggett, Benjamin F. Blockwood, Rose P. Blockwood, James Brown, John H. Bunn, Charles Carson, Bragg Clay, Mary E. Cole, Freddie Green Sr., Lehman H. Griffin Jr., James L. Hadden, Gardena Johnson, Mary E. Johnson, Percy Knighton, Adam Millikin Jr., Walter H. Nash, Frank Nervis Sr., Alease J. Scott, John H. Scott, Alfred Shoemaker, Henry O. Simmons, Laura Thompson, Fred Threats Jr., and Nathan Weaver. The 26 were also the only people ever registered to vote by a Federal Court judge. Below are their pictures (where available) and on the right are pictures of their relatives present at the celebration. In December, we continued the celebration with a Witness to the Truth bus tour that took us to see many of the sites in the story. 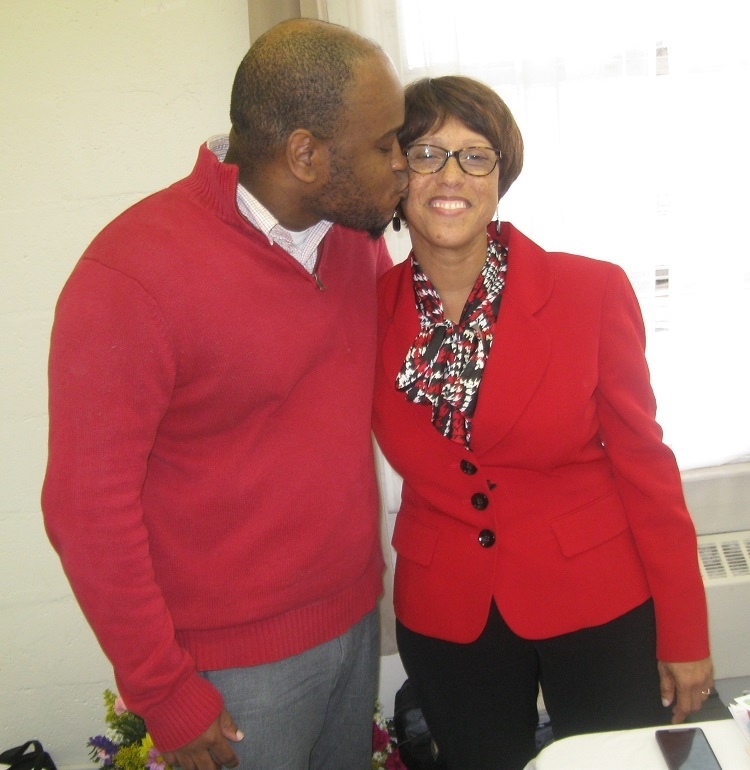 In February, I got to celebrate with my home community in this event hosted by the Royal Book Club. 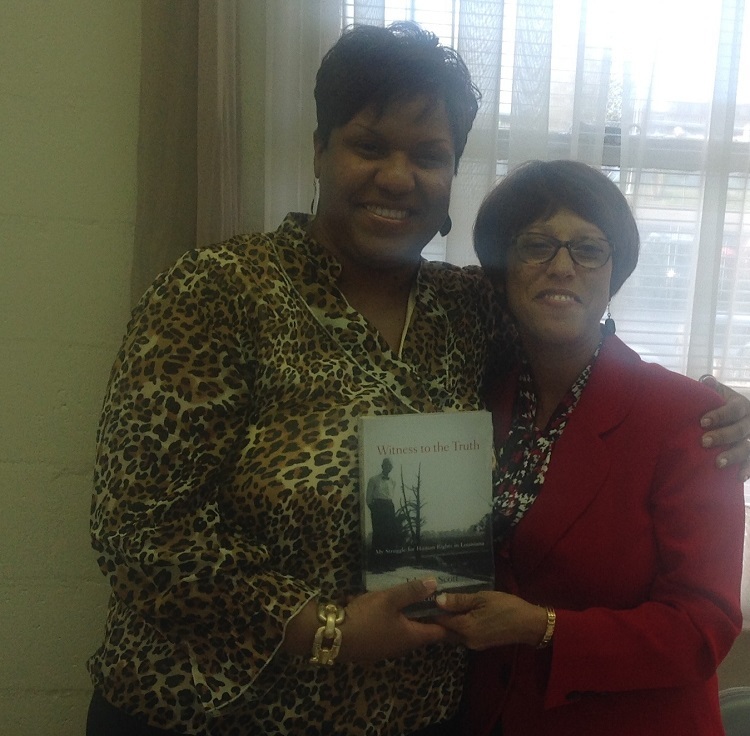 The Book Club selected "Witness to the Truth" as its read selection coming up to Black History Month. 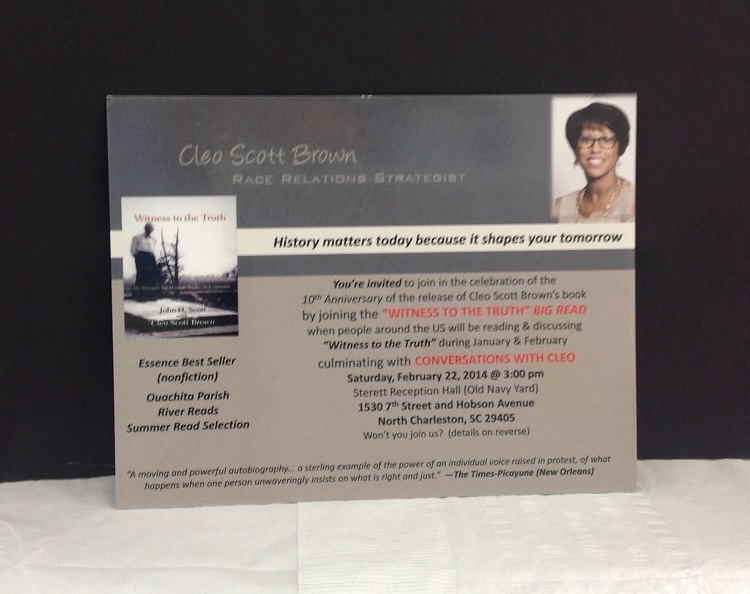 About 20 teens read "Witness to the Truth" for Black History Month and submitted essays. Special at this event were most of the people listed in my acknowledgements, my sister, and also my son Marlon Brown who arrived from DC as a special surprise. It was indeed a special time for me. The celebration ended with an invite to speak at the Anna Myers and Louise Williams branches of the Quachita Parish Libraries. 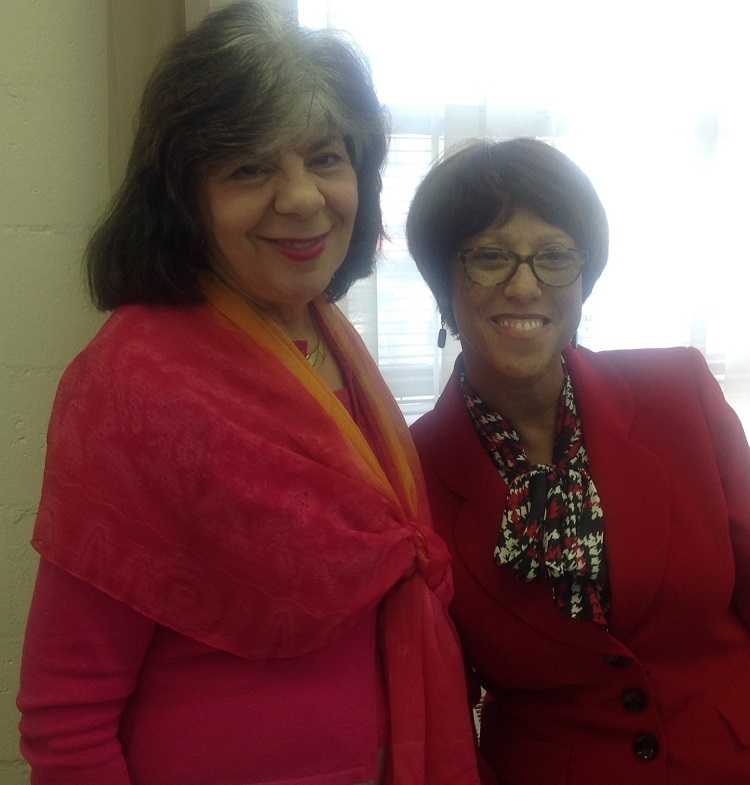 Ms. Terrie Wright was a great host during my stay in Monroe, LA and I got to appear on Good Morning ArkLaMiss, KNOE TV. Here are some pictures from those two events.